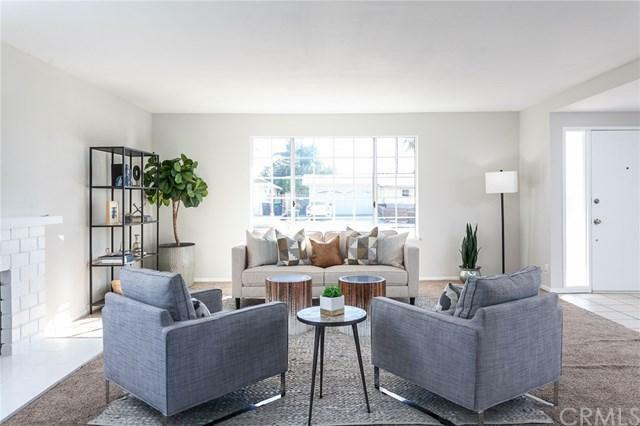 Located in the heart of Costa Mesa, this single story home in the sought after Mesa Del Mar features 4 bedrooms + 3 baths including two master suites, encompassing nearly 2,300 sqft in total. One master sits at the front of the home just off the kitchen area. The kitchen area opens to two dining areas, with plenty of space. Main living area in the front of the home upon entry with fireplace. Two bedrooms sit alongside the hall near the hall bath. At the back of the home, the second master suite sits with vaulted ceilings and recessed lighting. Home has been freshly painted inside and out. Outside features new landscaping in front and back. Ideally situated right behind the CAMP and the Lab, down the street from South Coast Plaza, and with easy freeway access to Newport and the beach, this is a perfect location! Sold by Kimberlee Massey of Re/Max Terrasol.